In his first-ever Doctor Who novel, Tom Baker’s incredible imagination is given free rein. A story so epic it was originally intended for the big screen, Scratchman is a gripping, white-knuckle thriller almost 40 years in the making. The Doctor, Harry and Sarah Jane Smith arrive at a remote Scottish island when their holiday is cut short by the appearance of strange creatures - hideous scarecrows who are preying on the local population. The islanders are living in fear, and the Doctor vows to save them all. But it doesn’t go to plan - the time travellers have fallen into a trap, and Scratchman is coming for them. Tom Baker himself reads this legendary Doctor Who adventure, a spine-chilling thriller 40 years in the making. 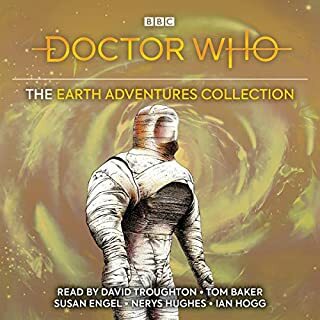 This audiobook feels like you are sat with Tom as he thourougly enjoys telling you his adventures. I would buy this book again and again. Any other Doctors want to travel with me telling me there stories I am in. It's one of the rare moments where I wish this film was made Tom Baker did an amazing job writing this movie it was very well written. The whole time I was listening I was getting images of how the movie would of looked and Tom made it even more seem real coz his narration was spoken in first person whenever he was talking about The Doctor. 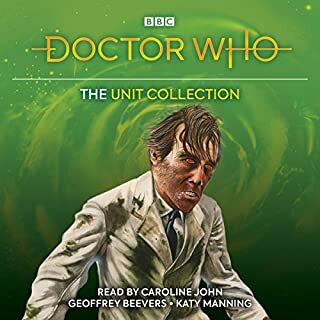 If you want classic Doctor Who, Classic Tom Baker or even just a dark story with scarecrows and farmers then this is the story for you plus you get Harry, Sarah Janes what more could you want. 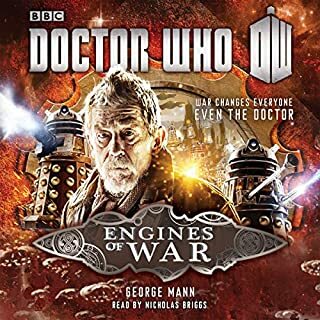 Great story loved the concepts really enjoyed it ....... totally loved Tom’s narration as the Doctor he completely hits it out of the park!!! He truely is the Doctor!!!! My only criticism was the cameo of Doctor 13 as I find Jodie portrayal as the Doctor in the latest series very unconvincing and by bringing her into the book adds the same effect to the story cheapening it. 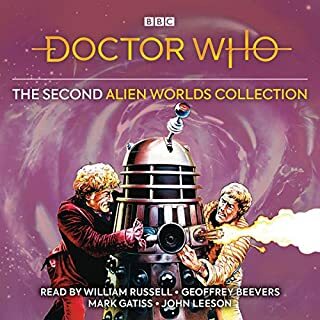 One of the reasons I jumped on the Audible bandwagon was to gain access to Doctor Who (4th Doctor) Audio Books as Tom Baker is (of course) the One True Doctor Who. 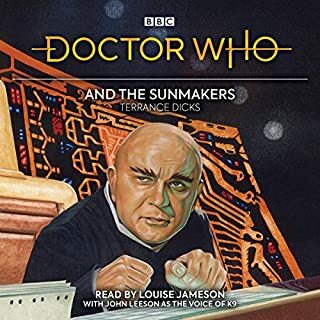 There is the usual fare where the BBC releases a full length audio narration of one of the original TV shows, and those come out at a rate of several a year with usually a former companion/cast member, etc doing the narration (Ex: Sunmakers is out Feb 2019 and Warriors Gate is April 2019). 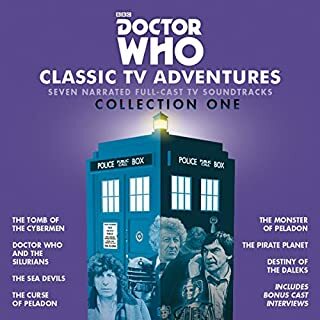 However the BEST 4th Doctor stories are of course the ones narrated by Tom Baker himself and the Best of the Best - in my opinion - were always when something NEW was released as those are a joy to listen to. Previously, if my memory holds, three previous examples of this were the trilogy of Serpent's Crest, Hornet's Nest, and Demon Quest, and I think that is (or will be) available here in Audible Land as "The Nest Cottage Chronicles". 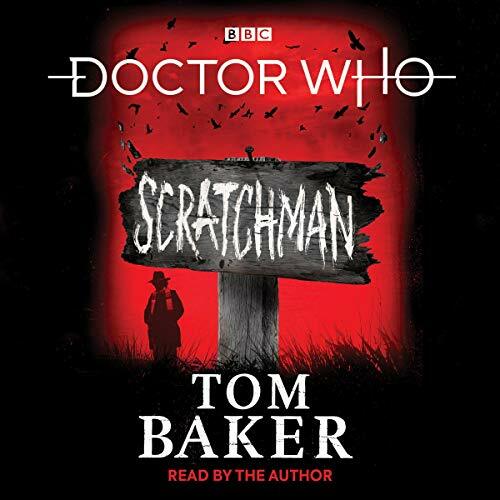 With Scratchman you have something unique in that not only is this a "new" story narrated by Tom Baker, since he is also the author this would be the first Fourth Doctor story actually written by the Fourth Doctor!! Who (no pun intended) else would know the character better than Tom? 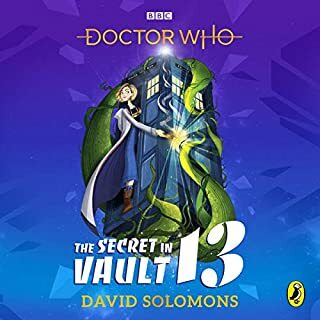 So far as the story itself goes, I would say it takes place back in between Classic Seasons 12 and 13 since it has Sarah Jane Smith and Harry Sullivan as companions. From what I read, this was supposed to have been a Dr. Who feature film in the mid 70s, but it wasn't in the cards and the script ended up gathering dust for 40-ish years. Then again, if it HAD been made into a movie back in the 70s, odds are it would have been on a shoe-string budget and the end result would have been a movie that was only aired during the the 2am time slot. 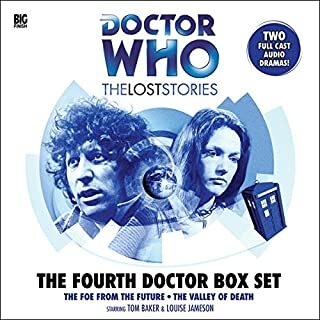 While the original script was filed away, with Tom's return to the character over at Big Finish with the Fourth Doctor Adventures, interest in the "lost story" grew and in 2019 we are fortunate to have a "new" story that has been allowed to mature and improve along with the character. Plus with the benefit of it being an audio-only (theater-of-the-mind) production, lack of a huge special effects budget isn't an issue and what we end up with is a first rate story. Performance? Great! 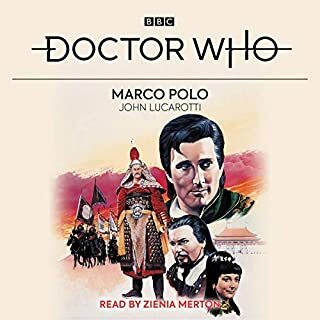 I am not the best at describing things, so I guess I would say what makes this a great listen is that you can tell he is Having Fun with the character and the narration. For lack of a better analogy, think of having to read a work of Classic Literature in high school vs reading it For Fun later in life. You can tell the difference when it's Fun rather than a Chore, and you can tell that Scratchman is - Fun. I don't want to give anything away, so the only part of the story I would like to focus on is at the end where he sort of / kind of breaks the Fourth Wall. The "Epilogue" and "PS From The Doctor" are quite moving, and worth listening to by themselves. 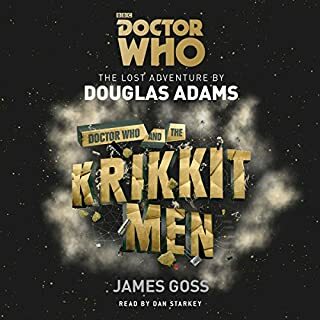 If you would like to listen to another great 4th Doctor-era short story (narrated by Tom Baker), there is "Jak and the Wormhole". It's only 23-ish minutes, but it's worth a listen. 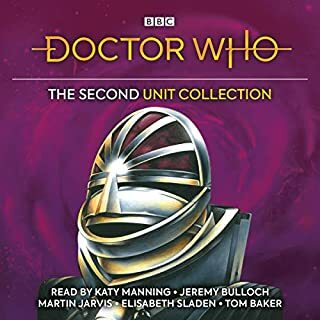 Also it would appear that some of the previous BBC Stories (Unit Era) that were narrated by Tom are being re-released as "collections", so you can fill out your collection for only a credit or two. this is the best reading of doctor who yet! Baker had reached back to the original idea. 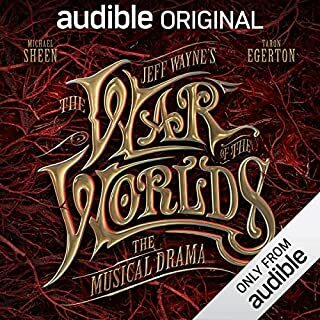 My first and perhaps best ever audio book . What a treat. I loved it. For Whovians and Tom Baker fans. Sarah Jane is a companion here and leaves an afterword in the last chapter. what a smart and fancyful boOk. A Tall-tale from a Great Soul. A life's work bound in a single story. There are so many deeply meaningful insights as throw-away lines, delivered in the inimitable Tom Baker style it is like a crash course on British understated bravado. Keep Calm and Doctor On. I will revisit this as many times as I can and hope to learn about the power of the word and story telling from The Master (NO - The Doctor!). It's kind of like having the Fourth Doctor personally recount one of his adventures to you. Tom Baker truly knows his Doctor inside, and out. He gifts the listener with a peek inside the head of his Doctor. His performance is superb! It's like the perfect episode of Classic who, and he hints at New Who a few times, which is delightful. 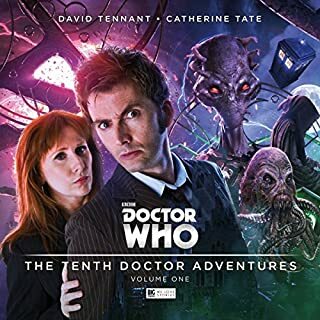 I cannot recommend this audiobook enough for any fan of Doctor Who. The Fourth Doctor is always a joy to see (or hear) in action! I was sad when it was over. Best audiobook I've heard in awhile. 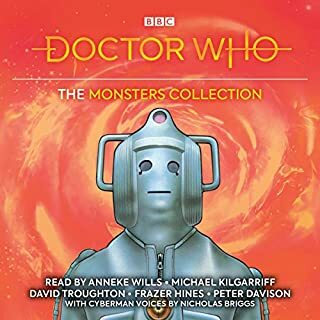 Absolutely loved it, reminded me of when I was a boy and he was the doctor on television, gave me lots of wonderful fond memories of watching his stories with my dad. 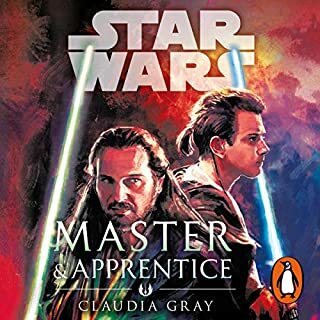 His character and his voice is as riveting as it ever was and the story was so captivating that I could not stop listening and imagining me there with them on their adventure. Thank you Mr. Baker, I mean Doctor. A very satisfying listen by the wonderful Tom Baker, my first Doctor. He obviously has enjoyed the role and continues to do so. Nicely done. An interesting story, falls a bit flat. The build up on this was very promising. It drifted off the rails near the end and never quite recovers. Even allowing for the spectacle of Doctor Who, it was a bit cringe. But hearing Tom Baker read it was a real treat. He clearly enjoyed the work, and that made the whole thing worth the listen. Ok, so if anyone is qualified to write the quintessential 4th Doctor novel, the it is Tom Baker. And he writes this with ease and style. It is a perfect 4, Sarah & Harry novel. Written with real heart and love for the characters and the era. It all starts out on familiar, frightfully amusing ground - then goes full tilt through the looking glass and into the Doctors adventures in Bakerland. 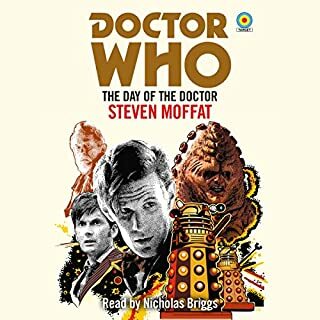 It's best listened to, not so much narrated as performed by the Great Curator himself, features one unwelcome and ear-numbing cameo, and is full of literally laugh out loud moments from start to finish. 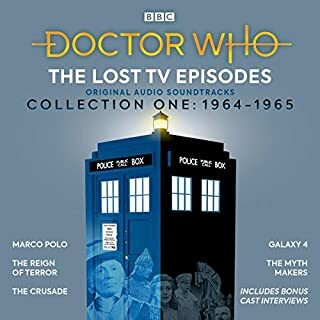 In-jokes, irreverent references to incarnations past, present and future, witticisms which meander to a punchline that makes it all make perfect sense suddenly...macabre imagery and breathless access into Bakers vision of his own private TARDIS...including a chilling peek behind the door of the one room the Doctor keeps locked...from himself. It all comes together like clockwork, a heartsfelt, close-up portrait of the Fourth Doctor in the first person, as only he could paint him. It's a tall story all about fear, told by a man who smiles everytime he delivers bad news, then laughs and holds up a Jelly Baby in the face of danger...and who isn't afraid to pen a familial-love letter to a friend and fellow traveller he, and we, can't help but confess to adore. Does it all work? Of course not. Would I personally have wanted to miss one word of it? great story, well read by the author. Tom Baker at his best clearly enjoying bringing his own work to life. Those who remember his stint as Doctor will enjoy this especially. Took me back to my childhood Saturday evening's. Tom Baker is The Doctor; the definite article you might say. A Fourth Doctor story written by Tom Baker. I feel genuinely grateful that this even exists. As for the story itself - it’s everything and some what than I had expected. Just brilliant - buy it now. I love Tom Baker and the Fourth Doctor, so was really looking forward to listening to this. Best Dr Who Book I've read in years. My god, I've just finished and good grief was it emotional at the end. Tom wrote an absolute joy of a classic Dr Who tale. He sparkled with wit and mischievous charm. Beautifully written, perfectly narrated. An absolute must have. What is not to love? A brilliant story full of twists and turns. A true novel that explores a complex (though easy to follow) plot line. And the reading by Tom is simply the best book narration I have heard. Somehow he manages to narrate and be the Doctor all at once. If you like classic Who, you will find this awesome. I grew up with Tom Baker as my Dr Who and this took me back to those days. As mad as a box of frogs on an out of control roller coaster I enjoyed it from the start to the finish and will listen to it again after a wee while no doubt. Scarfs off to Fantastic Forth Doctor and time for a jelly baby. Scratchman is a fantastic listen! Well-written, brilliantly creepy and Tom's narration is just superb, brilliantly bombastic with great voices! I hope for more from Doctor Four!